Homeworld Remastered is out in a few days. If you missed the 15+ year old original—or if you want to see the improvements this new version will bring—Gearbox has released a new trailer. In it, a monotonous voice explains What, How and also sometimes Why. 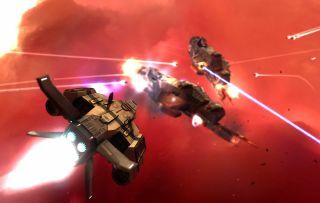 If that's not enough video media for your Monday morning, another trailer skips the lecture in favour of space battles. 4K space battles, to be precise. Homeworld Remastered is out on 25 February. It contains new, enhanced versions of Homeworld 1 and 2, as well as the original, "Classic" editions of both games.